To ensure this Seattle landmark remains one of the nation's best publicly owned sports and entertainment venues, King County must make modest investments in its maintenance. Safeco Field is a tremendously successful investment by the people of King County. To ensure this Seattle landmark remains one of the nation’s best publicly owned sports and entertainment venues, the county must invest in its maintenance. A proposal by County Executive Dow Constantine to spend less than a quarter of lodging-tax proceeds on ballpark maintenance is eminently reasonable and should be approved by the Metropolitan King County Council. Most county lodging taxes are earmarked for housing and the arts — each get 37.5 percent of the revenue under Constantine’s proposal. The remaining 25 percent would support tourism, including about $8 million a year for the ballpark, one of the region’s premier attractions. That public money can’t be spent on fancy additions, only maintenance. County maintenance contributions are part of a new and improved Mariners lease negotiated by the public facilities district overseeing the ballpark. It puts the Mariners on the hook to share revenue and spend more than $600 million on the facility over 25 years. “I think it is a much better lease than the last one, and it will secure baseball in this town for at a minimum of a quarter century and likely much longer,” Constantine said. Yet several council members may scuttle the deal, in a misguided effort to spend less on maintenance and even more on housing. If that happens, the team will instead seek a short-term extension of the current lease and less will be invested in the public building. While the region’s dearth of affordable housing is a legitimate concern, housing is not the only priority. Government must balance spending and support a variety of needs, including parks, police and economic development. The latter is especially needed to create jobs and opportunity that help people secure housing. 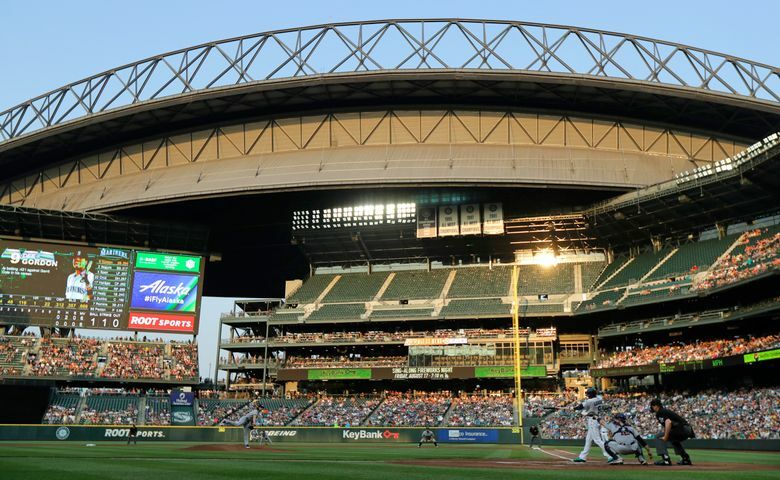 Housing growth will not suffer from the Safeco Field deal. King County nearly doubled housing spending already, with $177 million in its 2017-2018 budget for housing and community development. The 37.5 percent share of lodging taxes will generate more than $500 million for housing over 25 years. Constantine is trying to accelerate that spending, by borrowing $187 million against the revenue stream. Seattle doubled its housing levy in 2016 to $290 million. City and county taxpayers cover the cost of tax exemptions given to some multifamily housing developers. Then there’s state support, including $106 million in capital funding approved this year and $644 million in housing tax credits provided by the housing finance commission in 2017, which helped to finance 7,346 affordable apartments. “Housing is important — that’s why it’s getting the most money,” Constantine said. Safeco Field is a public investment in the economy and livability, not a tool for wealth redistribution. As the ballpark landlord, the public should be grateful to have a financially responsible tenant, willing to pay more and make a long-term commitment to Seattle. With the new lease, the team agreed to more than double rent payments and share revenue with the public. That’s better than the current lease’s unpredictable profit-sharing arrangement. Council members shouldn’t forget what happened when predecessors failed to adequately maintain the Kingdome. In 1994, 18 years after it opened, the county had to borrow $67.6 million for roof repairs. That was more than the building cost and repair bonds weren’t paid off until 2015. Safeco Field opened 19 years ago. All buildings require costly maintenance as they age. Ignoring this obligation is more expensive and environmentally wasteful, especially if the building deteriorates, becomes obsolete and must be replaced. There are more recent examples. In Phoenix, a 20-year-old ballpark may be abandoned by the Arizona Diamondbacks after a squabble with the public stadium district over $187 million in repairs and upgrades. The team may consider a new venue elsewhere or replacing the 20-year-old building. The Texas Rangers’ 24-year-old ballpark will be demolished after this season. A $1.1 billion replacement, with $500 million of public funding, is under construction. Consider another Seattle tourism magnet, the Space Needle. To preserve the building and its appeal, the private owners continually invest in maintenance and updates. At its 20-year mark an event space was added, then the upper level was overhauled in 1999. Current renovations will cost $100 million. Safeco Field is an equally worthy investment for its public owners. For a relatively small share of lodging taxes, it will generate jobs and economic activity worth much more than $8 million a year. Supporting the longer, better ballpark lease is the wise choice for council members seeking to provide the greatest good for their community.